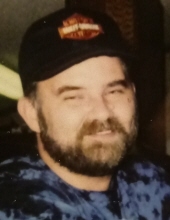 Benjamin Harrison Stamper III, age 61, formerly of Perry County, KY passed away on November 22, 2018 at the Georgetown Community Hospital in Georgetown, KY. He was the son of the late Benjamin Stamper Jr. and the late Flossie Mae Collins Stamper. He is also preceded in death by one sister: Katherine Clemons. He is survived by four sisters: Linda (Henry) Wallace of VA, Harriet (Dean) Wilder of GA, Sandra (Fred) Kennedy of Knot County, KY & Gina (Jason) Arnett of Georgetown, KY and a host of nieces, nephews, family & friends. To send flowers or a remembrance gift to the family of Benjamin Harrison Stamper III, please visit our Tribute Store. "Email Address" would like to share the life celebration of Benjamin Harrison Stamper III. Click on the "link" to go to share a favorite memory or leave a condolence message for the family.